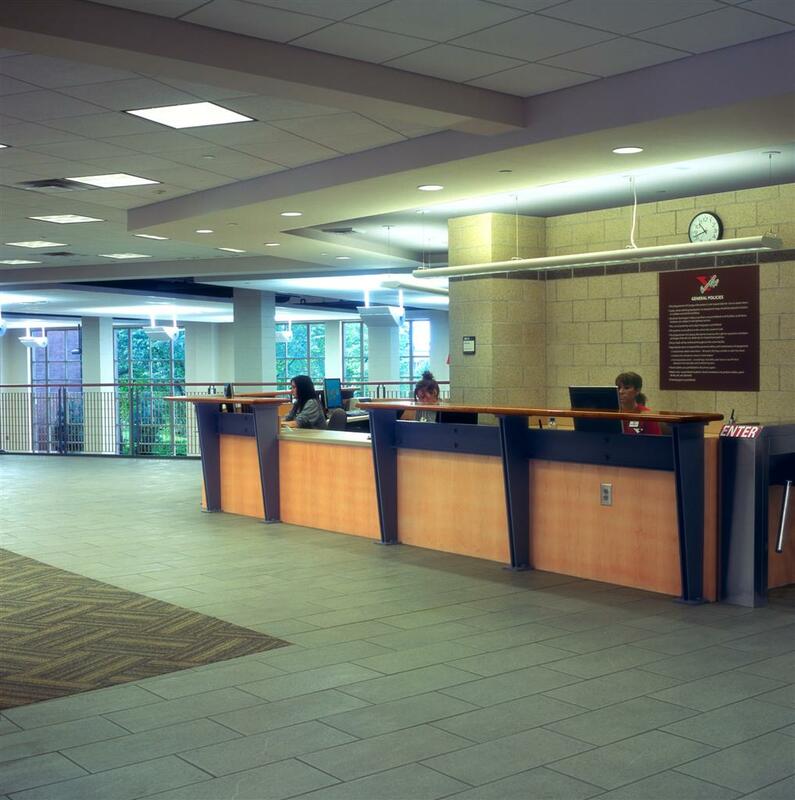 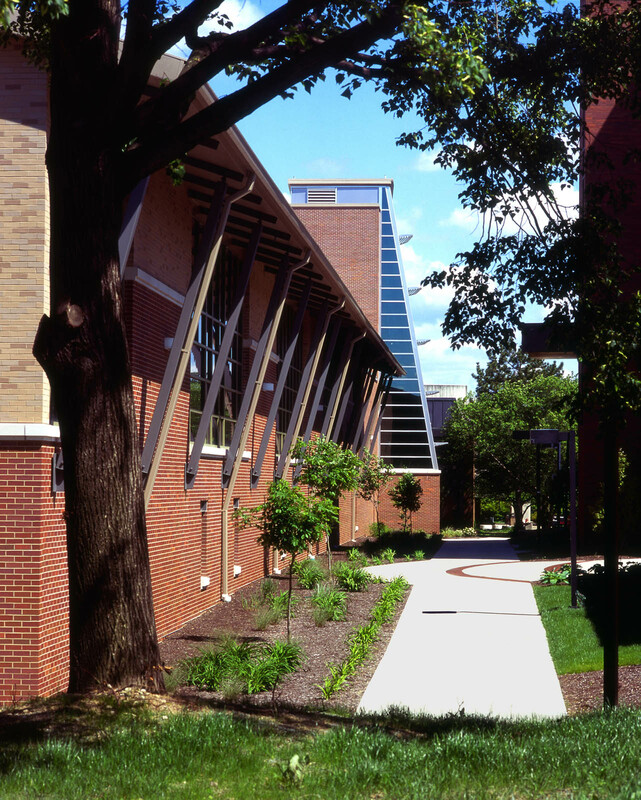 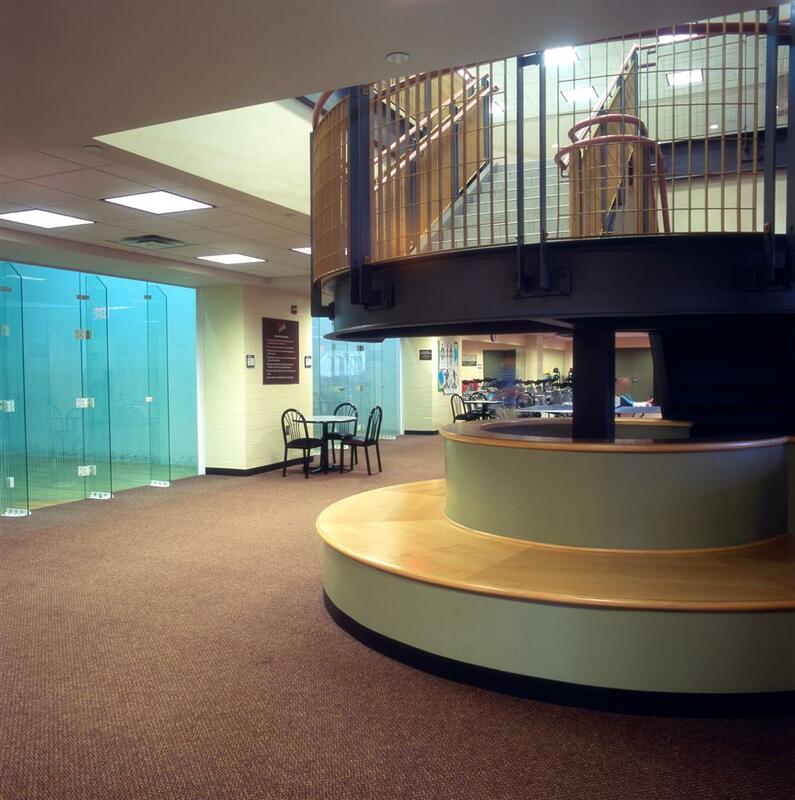 This facility is at the heart of a campus of about 13,000 students, as it is linked directly to the student center and faces Spring Street, a major east-west route through the campus. 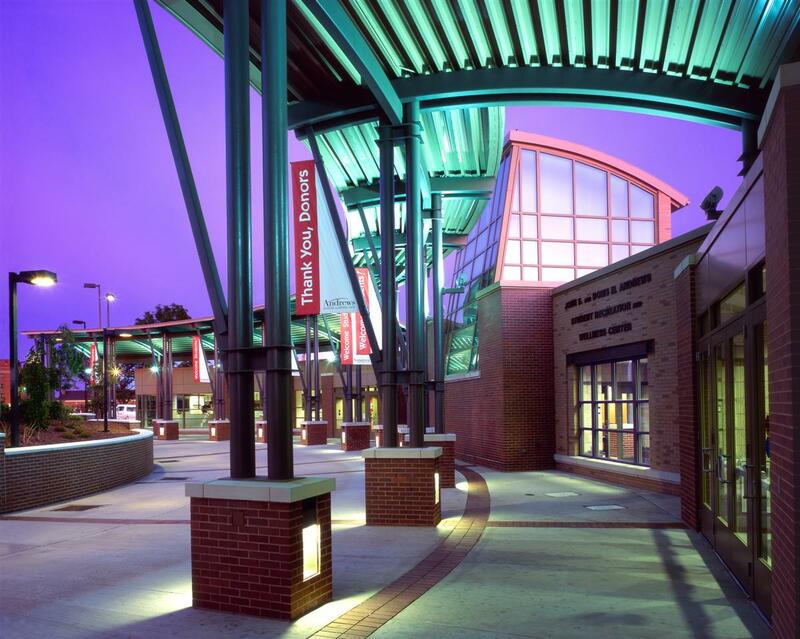 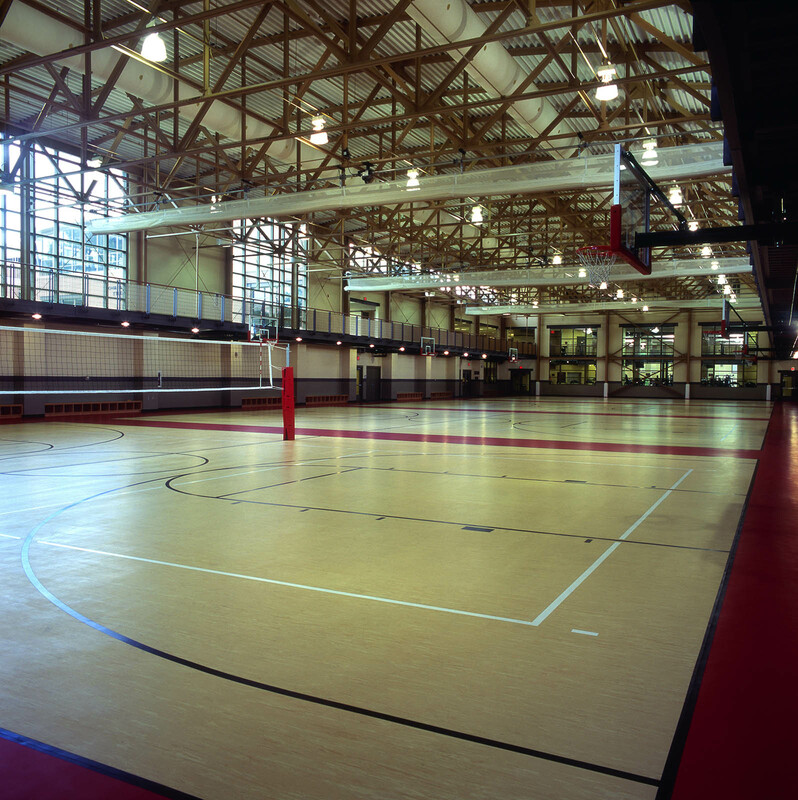 Completed in 2005 in conjunction with Ellerbe-Beckett, the 75,000 square foot structure includes a 4-court sports forum surrounded by an indoor, elevated running track that penetrates the building exterior on one end and circles above the strength and conditioning area. 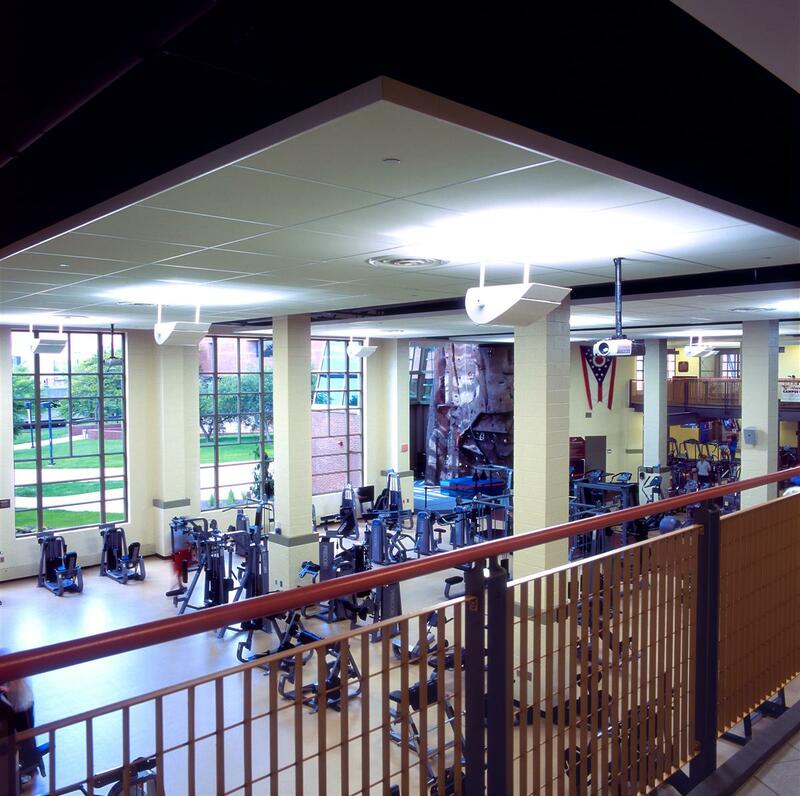 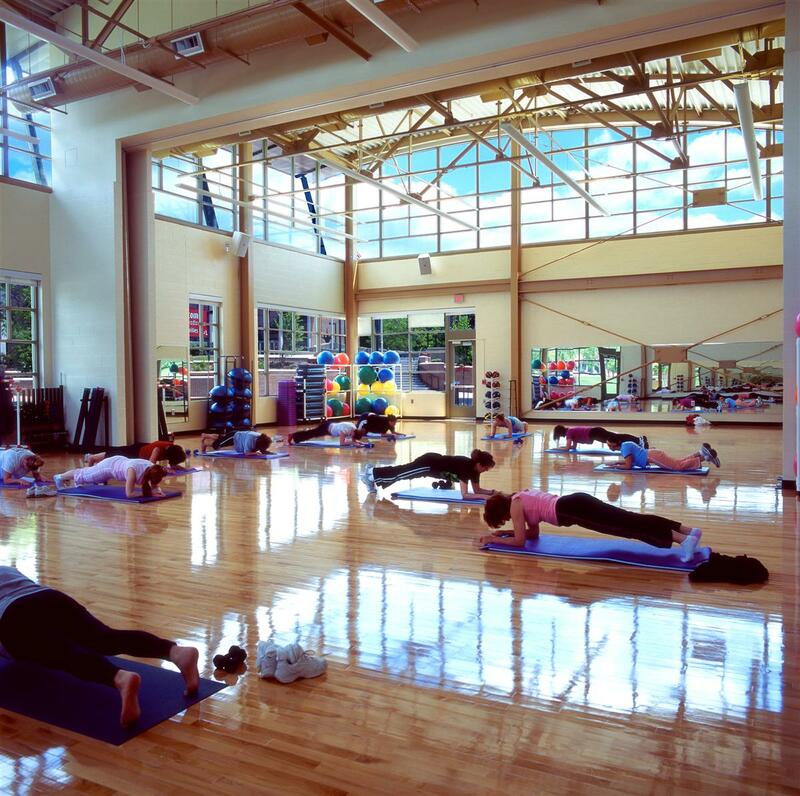 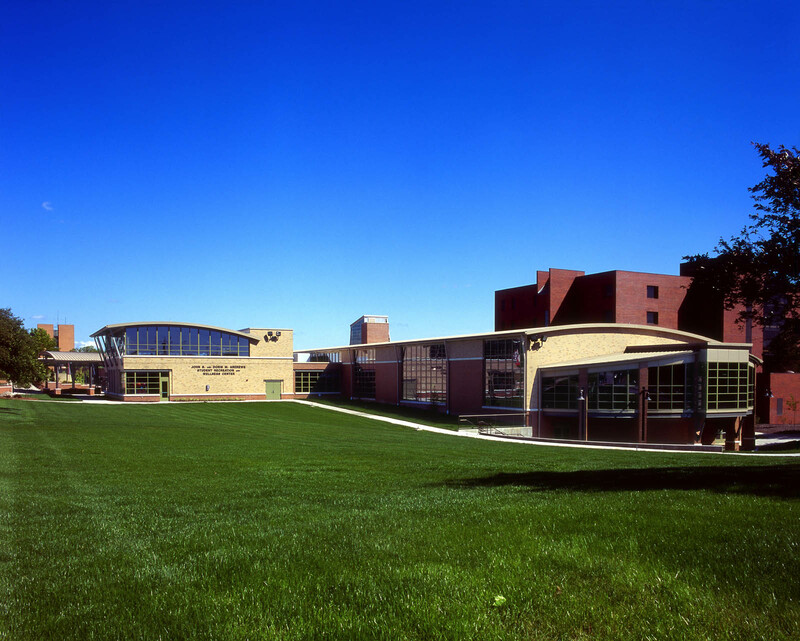 The facility has an aerobics and multi-purpose gymnasium that opens onto Spring Street and a 53-foot climbing wall that penetrates the roof of the building and overlooks the valley beyond.